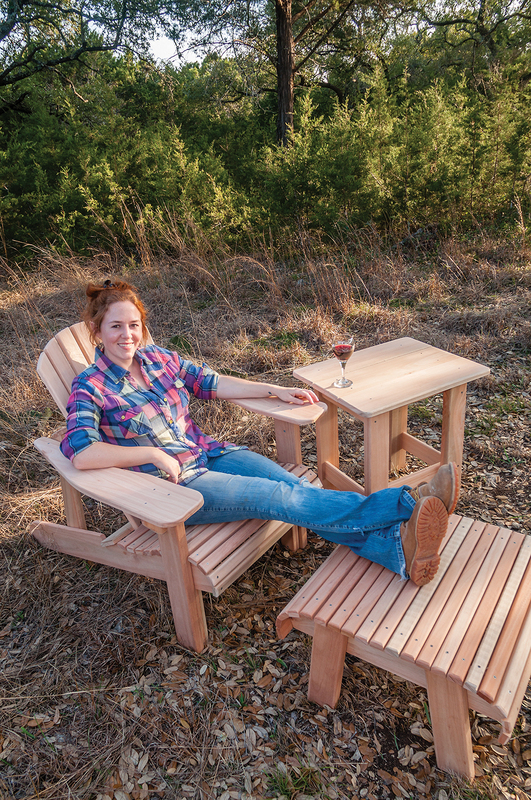 Rockler Woodworking and Hardware has launched a new "Build It with Rockler" project – a selection of Adirondack furniture, including a new bar-height chair as well as a classic chair with matching footstool and side table. Rockler's complete plans, online skill-builder videos, and in-store tool demonstrations provide DIYers with the resources they need to take the projects from start to finish. 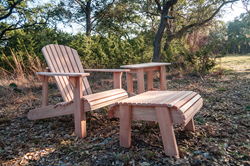 Rockler has launched a new "Build It with Rockler" project – a selection of Adirondack furniture. Our 'Build It with Rockler' philosophy is to provide DIYers with everything they need from start to finish. The plan packages include an exploded view of the project, a list of materials required to perform the build, a set of templates to trace the curved pieces, and step-by-step instructions with several photos to aid in the assembly process. Optional accessories are also detailed in the plan packages. 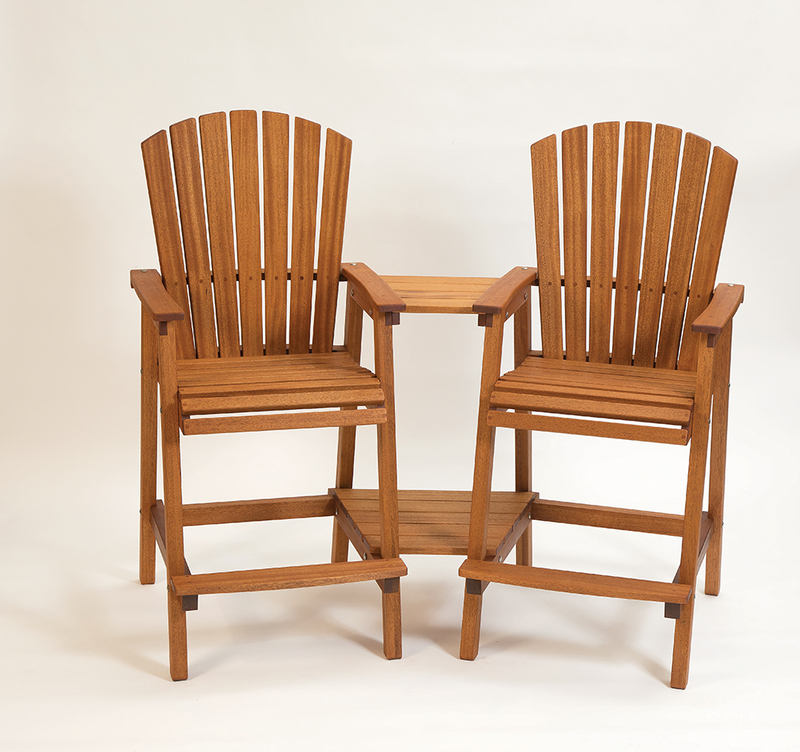 These include a footstool and side table to match the classic chair and trapezoidal tables that connect two bar-height Adirondack chairs. Users can finish their pieces by choosing a paint or stain to achieve the look they want and a sealer to protect the wood against the elements if kept outdoors. The Adirondack furniture projects incorporate steps including: using templates to cut lumber to shape with a jigsaw or band saw; drilling pilot holes, through holes and countersinks; and routing rounded edges. These are all skills that provide a foundation for future woodworking projects. Skill-builder videos showing which router bits are best for cutting durable templates, how to cut half-lap joints, how to make and install wood plugs, and how to make tapered cuts with the Rockler Taper Jig are available online. Additional project information can be found at rockler.com/build. "Building new patio and deck furniture is the perfect way to welcome warmer weather," said Scott Ekman, Rockler's vice president of marketing. "Our 'Build It with Rockler' philosophy is to provide DIYers with detailed plans and a list of tools, hardware and materials so that once they start to build, they can continue straight through until they have a finished product. Our online skill-builder videos and instore demos provide additional guidance for DIYers of all skill levels." All Rockler retail stores will host demonstrations throughout April that exhibit tools and techniques required to complete the Adirondack furniture projects. The stores also stock the required tools and materials that are listed in the detailed plans. The Adirondack Chair Plan and Templates with Foot Stool and Side Table Plans package (49259/52483), as well as the Bar-Height Adirondack Chair Plan and Templates package (56771) will be available for $14.99 each from March 30 to April 26 in Rockler retail stores nationwide, the Rockler catalog, and at http://www.rockler.com. Rockler will offer "Build It With Rockler" solutions for additional projects in the future.